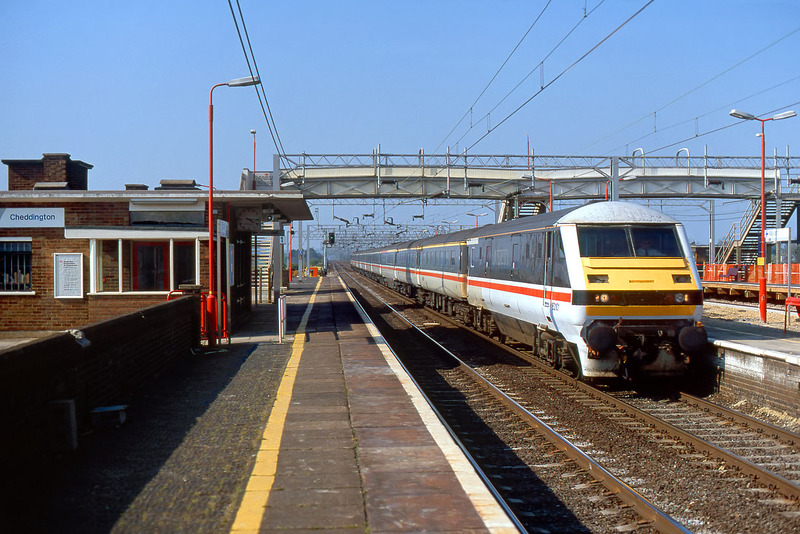 82101 leads the 14:10 Liverpool Lime Street to Euston InterCity service through Cheddington station on 28 April 1990. It was a couple of miles north of this spot that the Great Train Robbers halted the up postal on 7 August 1963, getting away with £2.6 million. The alarm was raised by one of the loco's crew catching an early morning train to Cheddington. Obviously the following day this quiet station in the middle of the Buckinghamshire countryside would have been swarming with police!